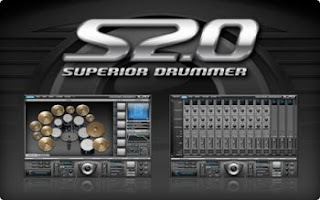 Superior Drummer® 2.0 has been re-developed for optimized use with e-drums with more effective use of sample layers and much improved loading times. It will include custom MIDI played by Nir Z accessed through the all new customized MIDI engine and arranger EZplayer® pro, it will feature stand alone capacity through Toontrack solo. From premium UK basedsoftware developer Sonalksis Superior Drummer® 2.0 has been fitted with, 5-band EQ, high and low pass filter, compressor, gate and transient designer filters. The new interface is reminiscent of EZdrummer® with its simple handling and lay out but gives its user layer upon layer of in depth features to create the ultimate drum track. • X-pads - Load instruments from any Toontrack® library to add positions or to double instruments on the position of your choice. • The ability to read and combine all dfh Superior and EZdrummer® sound libraries.